A new publication by Emeritus Professor Ram M Shrestha on “Sustainable Energy Access Planning - A Case Study” has been published by the Asian Development Bank (ADB). The study is focused on detailed analyses of options for providing cleaner energy access to households in Pyuthan District, one of the economically poor districts of Nepal. 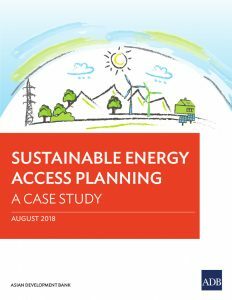 The case study presents a comprehensive application of the ADB’s Sustainable Energy Access Planning (SEAP) framework developed earlier under the leadership of Prof. Shrestha. Funded by a regional ADB technical assistance program for Enhancing Knowledge on Climate Technology and Financing Mechanisms, the study carried out seven different assessments on energy resource, energy poverty, energy demand, sustainability, cost, benefit, and affordability assessments. According to Prof. Shrestha, the four main objectives of the study included an assessment of current household energy use, determining cost-effective, cleaner and climate friendly energy options for the provision of sustainable universal access to cleaner energy services, analysing the benefits of access to cleaner energy and assessing the affordability of poor households to cost-effective energy access options.